Free Wi-Fi, satellite TV,Free private parking ,garden, patio and a barbecue .Bike renting available. Just 100 m from the sea, modern apartment Valsavie offers comfortable accommodation for 4-6 persons. Quite and peaceful district - it is an ideal place for family holidays. Family house with 2 appartments and one studio, located only 7 minutes walking from town centre .Hosted by friendly people taking care You 'll have everything You need for a perfect stay. Family house with 2 appartments and one studio, located only 7 minutes walking from town centre . Hosted by friendly people and fantastic sphere making sure You 'll have everything You need for a perfect stay. Newly built house, colourful and spacious apartments , quiet part of Rovinj and only 5-minute walk from the colourful Old Town and centre. Enjoying a quiet location, near beach and grocery store. Newly built and modern furnished apartments are equipped with wi fi, air condition, flat screen TV with satellite channels. Enjoy the quiet location, near the beach and grocery stores. Newly built and modern furnished apartments are equipped with wi fi, air condition, flat screen TV with satellite channels, private parking ecc. Apartments with balcony and views on the sea, old city or garden.Close to beach. All units at this House have a separate living room and sleeping quarters. Located only 10 minutes walking from town this units offers bright and spacious apartments, barbecue facilities and free parking for all guests. This Family House in Rovinj offer apartments and rooms and it is located only 1 km from the city center and just 10 minutes from the beach. Each unit has a private terrace. This Holiday Home in Rovinj offer apartments and rooms and it is located only 1 km from the city center and just 10 minutes from the beach. Each unit has a private terrace. The house with apartments and rooms is situated in a quiet and peaceful part of Rovinj. Each unit has a terrace. Apartments and rooms are modern and comfortably furnished. It would take just a couple of minutes walking to the restaurant and grocery store. The old town of Rovinj is.. Very nice apartments situated 1 km from the centre of Rovinj.Free Wi-Fi ,parking and free bike rental. Garden with a terrace and barbecue facilities. TV SAT.Nice location at walking distance to all necessities. 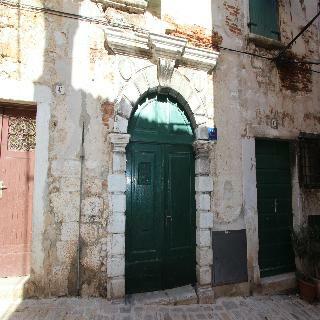 House with studio and apartment near to Rovinj. Directly positioned in the nature away from noisy nights and traffic. The big garden with barbecue facilities is on the guests' disposal for relaxing hours.Ideal for family bringing petts and friends of nature. Very comfortable apartment house located within only 700 metres from the nearest beach and 1 km from the centre of Rovinj. Spacious and well equipped apartments with private parking, satellite television, air condition and free wireless internet. A good location not too far from topwn and near to restaurants . Only 10 minutes walking tobeach. In the house aircon,tvsat,wifi at disposition. The historical old town of Rovinj is situated only 5 minutes walking from this Apartments, and the beautiful beaches Cuvi and Punta Corrente can be reached in 15 walking minutes. Nice place for a perfect holiday.Located in a quiet neighbourhood of colourful Rovinj called Lamanova with free Wi-Fi and parking next to various restaurants and shops, just a couple of steps away. Nice place for a nice holiday.Located in a quiet neighbourhood of colourful Rovinj called Lamanova with free Wi-Fi and parking next to various restaurants and shops, just a couple of steps away (500m) from the old town. Peaceful quarter of Rovinj called Lamanova offer studios and apartments with private balconies and views. All units fully equipped with parking and aircondition ,SAT/TV and full asistance by owner. Peaceful quarter of Rovinj called Lamanova offer studios and apartments with private balconies and views. All units fitted aircon ,SATTV and full asistance by owner. Apartments Cvek are located in a peaceful quarter of Rovinj called Lamanova 600 meters from the old town, offers 4 stars studios and apartments with private balconies and views. All units are fully equipped, fitted aircondition ,SAT/TV ecc.\nFull asistance by owner is provided. Peaceful quarter of Rovinj called Lamanova offer studios and apartments with private balconies and views. All units fitted aircondition, SAT TV and full asistance by owner. Family House with apartments located near the center of Rovinj. The beach is 600 m from the property. Nice place for family with a child. Comfortable apartments are air-conditioned and have a terrace. Free wi-fi and sat tv is available in every unit. Air-conditioned comfortable apartments ,bedrooms with king-sized beds or twin bedds , bathroom with shower and toilet,furnished terrace ,lovely view and garden use.\nOnly a couple of minutes distance to town or first restaurant. A quiet part of Rovinj. Suitable for smaller and bigger families or groups. Each apartment has free internet, terrace or balcony. The old town of Rovinj is only 1 km away, and the beach Cuvi can be reached on foot in 10-15 minutes. A quiet part of Rovinj, ideal for families or bigger group. Free internet, terrace. The old town of Rovinj is only 1 km away, and the beach Cuvi can be reached on foot in 10-15 minutes. A quiet part of Rovinj, ideal for families or bigger group. Each apartment air conditioning, free internet, terrace. The old town of Rovinj is only 1 km away, and the beach Cuvi can be reached on foot in 10-15 minutes. There are 3 aprtments in this house. All apartments feature a seating area with satellite TV, fully equipped kitchen, bathroom with shower and a furnished patio or terrace, private parking. All apartments feature a seating area with satellite TV, fully equipped kitchen, bathroom with shower and a furnished patio or terrace, private parking. 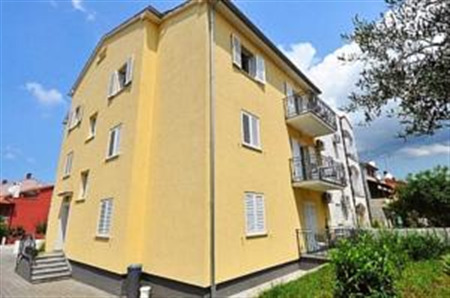 Apartmens Brajnovic offers two apartments , which are located in a quite and peaceful district of Rovinj. Perfect place for families or group of friends. Every unit is air conditioned, has free wi-fi, sat tv, washing machine, consists of two bedrooms with terrace. Peaceful neighbourhood in just a 5-minute walk from Rovinj’s vibrant Old Town.Surrounded by a lush garden. Peaceful neighbourhood in just a 5-minute walk from Rovinj’s vibrant Old Town. Surrounded by a lush garden. 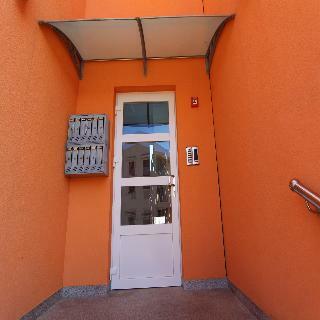 Completely equiped apartments with tv,free wifi,parking.\nSituated in a peaceful and quite part of Rovinj. Located only 500 metres from the centre of the town and 10-15 walking minutes to reach the beach. Free parking is available on site. Pets on request. 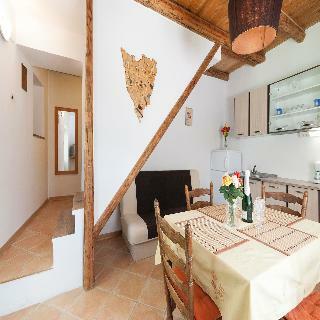 Located in the old town of Rovinj, pedestrian area between narrow, cobbled streets and fascinating building and offers a combination of modern and rustical style at the same time. \nA perfect place for those who like to have peace , listening sea gulls songs and sea waves splashing the mainland. Family apartment is located just 600 m from the sea, it is equipped with satellite tv, wi-fi and air condition. Shared garden with barbecue facilities is on the guests' disposal. Comfort Double room is located just 600 m from the sea, it is equipped with satellite tv, wi-fi and air condition. Shared garden with barbecue facilities is on the guests' disposal. Apartments located near to city. Fitted with balcony, TV, satellite channels, Air conditioning, Heating, Private entrance.Good location for a great holiday. The apartments Leveric is perfect choice for family holidays. Two spacious apartments offer comfortable accommodation equipped with all modern conveniences like air condition, wi-fi, sat tv. Just 800 m from the beach and 10 minutes driving from the romantic town of Rovinj. Apartments Lorena would be nice place for family holidays. You would need about 10-15 min walking to reach the city center and the beach. All units are air conditioned and equipped with wi-fi and sat tv. Lutrovic apartment is brand new, modern and very functional. It is located in district Cocaletto, 4 km from the Pearl of the Adriatic Rovinj, on the first floor. Its surface is 41 sqm and can accommodate up to 4 persons. It has a bedroom with a large double bed and an open sitting room with a large.. Very spacious and comfortable two bedroom apartment with 110 m2 of kliving space, can accommodate up to 6 persons.\nLocated in the tranquil part of Rovinj called Lamanova onli 800 meters from the old town of Rovinj. Grocery stores and restaurants only 100 m away.\nPrivate parking, WI/FI, Fully equipped..
Apartments only a couple of minutes to beach. All units are equipped with balcony and SAT TV. A nice place for a nice holiday. Great position, near to beach. All units are equipped with balcony and SAT TV. A nice place for a nice holiday. The Family House has 3 apartments equipped with Air condition, Free Wi-Fi, Satellite TV and fully equipped kitchen. Free private parking, patio,Istiran tavern and a barbecue. Aircon,Free Wi-Fi, satellite TV and fully equipped kitchen. Free private parking, patio,Istiran tavern and a barbecue. Aircondition,Free Wi-Fi, satellite TV and fully equipped kitchen. Free private parking, patio,Istiran tavern and a barbecue. The Apartments are close to city. It is equipped with air condition, tv, wifi, heating. It offers a sea view and parking on site. Nice family house with apartments and studio apartments is situated near Cuvi beach. All units are equipped with SAT / TV, air condition and free wi-fi signal and have a terrace or balcony. The family house consists of 3 apartments.It is located in the peaceful and quite part of Rovinj. Every unit has balcony, wi-fi, air condition, sat tv, parking. Distanced only few minutes walking from the Cuvi beach and sea. All units air conditioned, sat tv, wifi, equipped kitche and terrace or patio. Private parking is possible on site. The comfortable apartment has a bedroom with king-sized bed, a living room with seating area combined with a full-equipped kitchen with all necessary cooking facilities, fridge and microwave oven, a bathroom with shower and toilet. It is set with television,WI-FI, air condition and has a patio and private..
Only few minutes walking from famous beach Cuvi and sea. All units air conditioned, sat tv, wifi, equipped kitche and terrace or patio. Private parking is possible on site. Great location - picturesque town of Rovinj.\nSituated in the old town of Rovinj. Watching the sea directly from windows you 'll feel the breeze from the Adriatic sea. Amazing view on the old town and a gorgeus sea view. Great location - picturesque town of Rovinj.\nSituated in the old town of Rovinj. Watching the sea directly from windows you'll feel the breeze from the Adriatic sea. Amazing view on the old town and a gorgeus sea view. Very nice house with Free private parking ,garden, patio and a barbeque,Free Wi-Fi, satellite TV,Bike renting available. Three Bedroom Apartment is equipped with SAT TV, air condition and WI-FI. It is perfect place for family holidays. Family house for a perfect holiday. 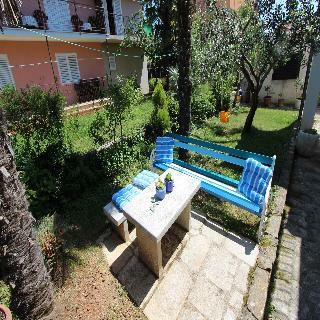 Quiet location not too far from Rovinj centre.All units with SAT / TV, aircondition and free wi-fi signal. Max 4 persons per unit. Family house for a perfect holiday. Quiet location not too far from Rovinj centre. Unit with SAT / TV, aircondition and free wi-fi signal. Located in Rovinj’s Old Town, Apartments Villa Ernesta offers a roof terrace with a barbecue. 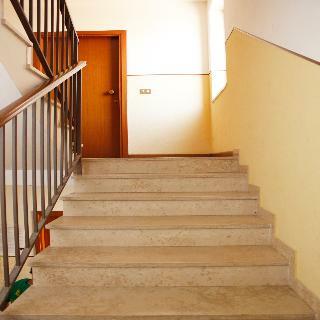 The ferry boat to Venice stops 200 metres away and Monte Beach is 3 minutes’ walk away.\nRenovated in 2005, each of these apartments come with air conditioning, free Wi-Fi and a satellite TV. The kitchen is..
App 300 metres from the beach and close to historic centre of Rovinj.Lush garden with barbecue , free Wi-Fi and free parking.Perfect place for family with children. Located in the old part of the town Rovinj between narrow, cobbled streets and fascinating building. A nice place for those who wants to be in the midle of the town near to all events reachable by walking in all directions. Only 5 minutes walk from the beach and Punta Corrente Botanical Park. Enjoy advantage of the property’s terrace, garden and outdoor barbecue facilities. This room offers garden views from the balcony, which has a seating area. The private bathroom comes with a shower. Guests in this room have access to a communal kitchen. Please note that extra beds are not available in this room type. Newly renovated house offers comfortable accommodation for 5 people. The house consists of 2 bedrooms and two bathrooms, it has private garden with grill. Apartment is equiped with SAT TV, internet and air condition. The paradise for family holidays. The Holiday Apartment Manola is located in the quite and peaceful district called Cocaletto. Just 4 km from the Old Town of Rovinj (5 minutes driving). It would take you 5-10 min to reach the beach. Equipped with all modern conviniences, this three bedrooms house would be ideal place for family holidays..
Beautiful rustical house placed on a 3000 square meters property with about 100 m2 internal place ready to suit your needs. Fitts max 4 persons. TV, air conditioning,two private bathrooms, kitchen and dining area.A perfect location for a family vacation.Only 5 minutes bicycle to town. Villa Jana is a beautiful new house with a pool and large fenced yard, only 8 km from Rovinj and the sea. \nIt offers its guests complete comfort and luxury, can accommodate up to 8 people, ideal for families with children, vacations with friends. Location. Maistra Hotel Valdaliso is located near the beach in Rovinj and close to St. Euphemia's Church, Trg Valdibora, and Trg Marsala Tita. Additional points of interest include Rovinj Harbour and Sveta Katarina. Resort Features. This Rovinj property has a private beach. Dining options at Maistra.. Located near the town.Offers free parking, balcony and a private bathroom with shower,garden. Airconditioned. A restaurant serving local cuisine is just 10 m from the property. Possible breakfast to be accorded on place. Good location. Only 20 walking minutes from firs beach. City center in 10 minutes walking. Close to restaurants and maxi markets. Good location. Only 15 minute walking distance from nearest beaches. City center in 10 minutes walking. Close to restaurants and super markets. At the entrance to the beautiful town of Rovinj, this air-conditioned studio apartment is located in a traditional Rovinj building on the second floor (Attic) with magnificent view of the sea. Comfortable Studio in the city center invites its guests to spend unforgettable holidays in Rovinj. You would need just a couple of minutes to reach Old Town with a lot of narrow, cobbled streets and fascinating building. Perfect location - in the city center! Studio is quipped with airi condition, sat tv and wi-fi, it offers comfortable accommodation for 3 persons. Comfortable Studio apartment is located in quite and peaceful district of Rovinj, just 500 m from the city center. Studio for 2 persons offers accommodation with all modern facilities for your perfect holidays. Family house located less than 10 minutes walking from Rovinj town center and close to restaurants.Budget oriented accommodation.\nAir conditioned units, with satellite TV and free Wi-Fi signal and car park.Sympathic accomodation for a small charge close to city centre. Family house located only 10 minutes walking from towns center and close to restaurants.Air conditioned units, with satellite TV and free Wi-Fi signal and car park.Sympathic accomodation for a small charge close to city centre. The apartments of Villa Adrian are located in Borik district (pine forest), which is a beautiful and calm area of the wonderful town Rovinj. Villa Adrian was built in 2006 and it consists of three nice apartments of different sizes, which are furnished in a modern and luxurious style.\n\nVilla Adrian.. Recently renovated. Quiet position in Rovinj close to sea and Old town Rovinj city center. WIFI, Parking, bike rentals available. Recently renovated. Quiet position in Rovinj close to sea and old town city center. WIFI, Parking, bike rentals available. Modern house located only a couple of minutes walking from beach and town. Comfortable rooms and apartments with breakfast ,satellite Tv, wireless internet and private parking on site. This beautiful Villa consist of four apartments, is located in a quiet district called Centener near the center of Rovinj and the beautiful botanical park Punta Corrente. All units are equipped with SAT/TV, aircondition and free Wi-Fi, iron/board, safe etc. This beautiful Villa is located on a quiet location near the center of Rovinj. All units are equipped with SAT/TV, aircondition and free Wi-Fi.\nPerfect stay in perfect position. The hotel is set amidst abundant mediterranean vegetation, offering a total of 120 rooms 61 in the main building and 59 in a neighboring building measuring between 20 and 50 mA?A². rooms are equipped with tv, minibar, safe, ensuite bathroom and balcony or terrace overlooking the sea. it also has.. This eye-catching resort is located right next to a well-kept pebble and stone beach, 3 km from the town centre by road and 7 km by coast through the Cuvi sport and recreation zone. This holiday resort offers everything a well-organized and attractive resort should be equipped with. It is one of the.. The apartment hotel is located on the beach, which is beautifully landscaped and covered with pebblestones. It is 3 km from the town centre by road and 7 km along the shoreline via the Cuvi recreational zone.This tourist settlement offers everything a well-organized and attractive resort should. Comprising.. Apartment Lukman is located in the heart of Rovinj’s Old Town, on a typical narrow Mediterranean street and just steps away from major tourist sites. Providing all modern amenities, such as Wi-Fi, air-conditioning and unique furnishings, the Lukman apartment also offers easy access to the coast.. This hotel is located 225m from the beach and 5km from the city center. Facilities and services include a restaurant, bars, parking, children's playground, Internet point and gym. Rooms feature central heating, TV and telephone. ** Please note that some of the above facilities may be closed due.. The Valdaliso Hotel and its annexes are situated on a green peninsula, just a short drive by car from the scenic ancient centre of Rovinj. With a great view of the old town, Hotel Valdaliso delights in the azure waters and rocky beaches that surround it. Rest in the shade of the pines and take.. Located in first line to the sea. The Villas Rubin complex is located 3 km from the town center the old fishing village Rovinj, on a pebble beach, surrounded by beautiful nature. Among the facilities are pool, water slides, children’s pool, restaurant, bar, snack bar, tennis court, mini golf, beach volley,.. The settlement Villas Rubin is located right next to a well-tended pebble and stone beach, 3 km from the town centre by road and 7km by coast through the Cuvi sport and recreation zone. This air-conditioned apartment features a terrace, a falt-screen satellite TV, a kitchenette with a dining area and a bathroom with shower. Apartments Rovinj 106 is a self-catering accommodation located just a 10-minute walk away from the Rovinj Old Town. It offers.. The house with Apartments Rovinj 106 is located in Rovinj, just a 5-minute walk from the Old Town. The nearest beach can be reached in 5 minutes.Restaurants and bars are about 50-100 m from the property.The colourful Rovinj’s Old Town features narrow.. The house with Apartments Rovinj 106 is located in Rovinj, just a 5-minute walk from the Old Town. The nearest beach can be reached in 5 minutes.Restaurants and bars are about 50-100 m from the property. 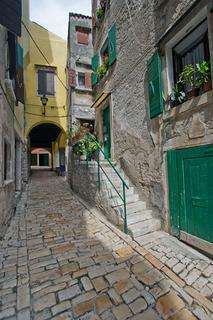 The colourful Rovinj’s Old Town features narrow.. Within only 300 metres from the nearest beach and 500 metres from the historic centre of Rovinj, Apartments Rovinj 13 features a garden with barbecue, free parking and satellite television. The house with accommodations is set in quite and peaceful.. The Apartments Rovinj 14 are situated in the peaceful district of Lamanova, The Old Town of Rovinj is a 5 minute walking, while the beach can be reached in a 15-minute. All units have air condition, wireless internet, full equipped kitchen with dining area, living room with.. Peaceful neighbourhood in just a 5-minute walk from Rovinj’s vibrant Old Town.Surrounded by a lush garden. The Apartments Rovinj 14 are situated in the peaceful district of Lamanova. The house has two separate apartments for a total of 7 persons.All units have air condition, wireless internet,.. The Studio is part of a family house and situated in ground floor of the family house positioned not too far from the center of Rovinj. It is a perfect location for your holiday – only 800 m to the historic centre of Rovinj and app 500 m to the sea. Studio is fitted with air conditioning,.. The apartment Rovinj 15 is located close to the center. It's about a perfect location, about 700 meters from the old town of Rovinj and 500 m distance to the sea. Apartment is air-conditioned, with satellite TV and free Wi-Fi signal. Garden located right in front of the.. The Apartments Rovinj 15 with patio is set near the center of Rovinj. It is a perfect location – only 500 m to the Old Town of Rovinj and 200 m to the beach. Apartments is fitted with air conditioning, satellite channels, free wireless internet and computer. Garden..
Apartments Marica is on the outskirts of Rovinj, 5 minutes walk from Cuvi Beach and Punta Corrente Botanical Park. Guests can take advantage of the property’s terrace, garden and outdoor barbecue facilities. Rooms and apartments all feature a balcony with a garden or sea view. They..
Set within a 10-minute walk from the beach and the forest-park Golden Cape, the Studio Apartment has free Wi-Fi, satellite TV and equipped kitchen. Free private parking is provided in the yard for each guest, which also features a patio, and Istrian tavern with barbecue. Air-conditioned studio offering..
Air-conditioned apartment offering a bedroom with doublebed , a living room with sofa and a kitchenette with basic kitchenware. Private bathroom provides a shower, while the balcony overlooks the garden. Apartment Facilities: Balcony, Garden View, TV, Satellite Channels, Air Conditioning, Heating,..
Air-conditioned apartment offering a doublebeded room , a living area with kitchenette and basic kitchenware. Private bathroom provides a shower, while the balcony overlooks the garden. Free private parking is provided in the yard for each guest, which also features a patio, a traditional Istrian tavern..
Set in a newly built house, Apartments Lavanda features colourful and spacious apartments suitable for a self-catering vacation. It is located in a quiet part of Rovinj called Lamanova, only a 5-minute walk from the colourful Old Town. All apartments feature a seating area with satellite..
Apartments Bella in Rovinj offers units that all have a balcony with views of the sea, old city or garden. The local beach can be reached on foot in 5 to 10 minutes. All units at Apartments Bella have a separate living room and sleeping quarters. A dining room and kitchen are also..
Apartments with balcony and views on the sea, old city or garden.Close to beach. All units at this House have a separate living room and sleeping quarters. Apartments Bella in Rovinj offers units with balcony and views on the sea, old city or garden. The local beach can be reached on foot in 5 to..
Apartments H&M are located near the center of Rovinj, on a quiet location. Sea and beach are just 1000 m away. Grocery shop just 100 meters. Apartments are standard equipped with SAT/TV. Nearby there are restaurants, shops, bars and other facilities. The private house has 2 apartments, one with terracea.. The spacious apartment offers an equipped kitchenette with dining area, a furnished balcony and satellite TV. Apartment Facilities: Balcony, Garden View, Satellite Channels, Heating, Wooden / Parquet floor, Shower, Toilet, Bathroom, Kitchenette, Refrigerator. Located 700 metres from the beautiful Rovinj’s.. The spacious apartment offers an equipped kitchenette with dining area, a furnished balcony and satellite TV. Apartment Facilities: Balcony, Garden View, Satellite Channels, Heating, Wooden / Parquet floor, Shower, Toilet, Bathroom, Kitchenette, Refrigerator Located 700 metres from the beautiful Rovinj’s.. 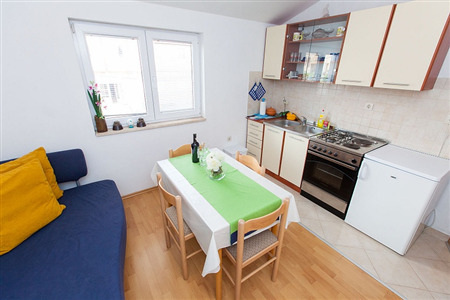 The spacious apartment offers an equipped kitchenette with dining area and satellite TV. A bathroom is available in each room. The apartment also provides a furnished terrace on the ground floor. Apartment Facilities: Balcony, Garden View, Satellite Channels, Seating Area, Heating, Wooden / Parquet..
Apartments Rovinj 3 is situated in a quiet part of Rovinj. It features spacious apartments with private parking and free Wi-Fi. Only a 5-minute walk from the colorful Old Town is also offers a garden and bicycle rentals. All apartments feature a seating area with satellite.. There are 3 aprtments in this house. All apartments feature a seating area with satellite TV, fully equipped kitchen, bathroom with shower and a furnished patio or terrace, private parking.Apartments Rovinj 3 is situated in a quiet part of Rovinj. It features spacious apartments with private parking..
Only few minutes walking from famous beach Cuvi and sea. All units air conditioned, sat tv, wifi, equipped kitche and terrace or patio. Private parking is possible on site. Located 1.5 km from the center of Rovinj, Apartments Rovinj 31 offer well equipped spacious accommodations. All.. 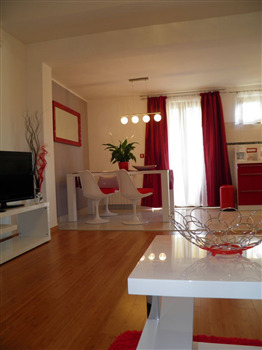 Comfortable Studio Apartment is situated in the center of the beautiful town of Rovinj. Studio offers sea view and view of the St Euphemia Cathedral. There are a lot of concerts and events in the center of the city. Historical part of Rovinj - the old town, just a couple minutes walking.. This beautiful house is located on a quiet location near the center of Rovinj. All units are equipped with SAT/TV, aircondition and free Wi-Fi. Perfect stay in perfect position.A nice recently renovated family house offering You three fantastic and large apartments units for your perfect holiday. This..
A nice recently renovated family house offering You three fantastic and large apartments units for your perfect holiday. 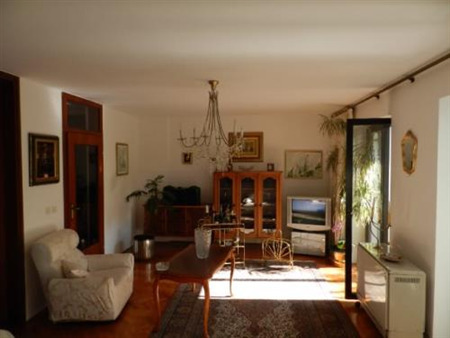 This house is located on a quiet location near the center of Rovinj. The units are equipped with SAT/TV, aircondition and free Wi-Fi . Parking available directly in front of.. Located in a quiet neighbourhood in the centre of town, Apartments Rovinj 4 offers free Wi-Fi and free parking. Bike and car rentals can be arranged on site, while the nearest beach is 1km away. Free parking and free Wi-Fi are available. All apartments are air-conditioned and offer a..
Apartments Rovinj 4 are located near the center of Rovinj, on a quiet location, Lamanova. Sea and beach are just 1000 m away. Apartments are standard equipped with SAT/TV. Nearby there are restaurants, shops, bars and other facilities. The private house has 4 apartments,..
A nice family house with two large apartments for a perfect holiday. This house is situated in a quiet location not too far from Rovinj centre.All units are equipped with SAT / TV, aircondition and free wi-fi signal. Parking directly in front of the house or nearby.In just few minutes walk..
A nice family house offers apartments and studio apartments for a perfect holiday. This house is situated in a quiet location not too far from Rovinj centre. All units are equipped with SAT / TV, air condition and free wi-fi signal and have a terrace or balcony. Garden is on the guests'.. 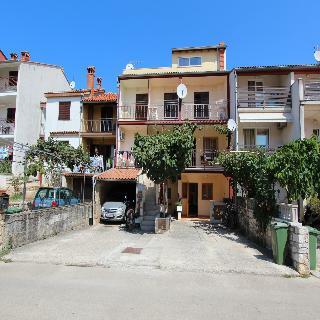 This house with apartments and rooms is situated in a quiet and peaceful part of Rovinj. Each unit has a terrace. Apartments and rooms are modern and comfortably furnished. It would take just a couple of minutes walking to the restaurant and grocery store. The old town of Rovinj is only 1 km away,..
Apartments 43 is situated 1 km from the centre of Rovinj. Featuring free Wi-Fi free parking and free bike rental, it offers a garden with a terrace and barbecue facilities. All accommodation units come with a kitchen or a kitchenette and a balcony. A café, grocery shop and a restaurant..
Apartments 43 is quietly situated 1 km from the centre of Rovinj. Featuring free Wi-Fi free parking and free bike rental, it offers a garden with a terrace and barbecue facilities. All accommodation units come with a kitchen or a kitchenette and a balcony. A café, grocery shop.. The Apartment is quietly situated 1 km from the centre of Rovinj. Featuring free Wi-Fi free parking and free bike rental, it offers a garden with a terrace and barbecue facilities. All accommodation units come with a kitchen or a kitchenette and a balcony. A café, grocery shop and a restaurant..
Apartments Rovinj 5 are located only 300 m to the city center. Distance to the beach is about 800 m and to the nearest market is 100 m. Apartments are well equipped with satellite TV, air condition, heating. Every apartment has balcony with sea view. There is parking place on site. The..
Apartments Rovinj 5 are located only 300 m to the city center. Distance to the beach is about 800 m and to the nearest market is 100 m. Apartments are well equipped with satellite TV, air condition, heating. Every apartment has balcony with sea view. There is parking place on site. The old town of.. 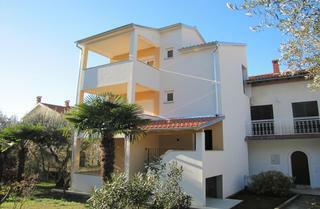 Newly built house with studio and apartment is located 7 km from the picturesque town of Rovinj. The perfect place for those seeking peace and relaxation. You can enjoy the nature in a big green garden full of flowers and trees enjoying the garden as a seating area, find a table and stoned fireplace..
House with studio apartments is located 7 km from picturesque town of Rovinj. Perfect place for those who are searching for peace and relaxation. You can enjoy the nature in a big green garden full of flowers and trees, it has a seating area, table and stoned fireplace for barbecue. The garden is not.. 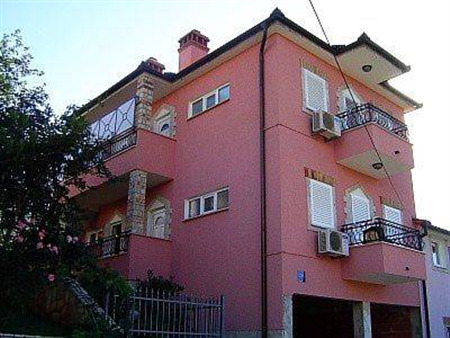 The house with apartments and studio apartments is located in the centre of the Pula, near the church of St. Franje. It would take you just a couple minutes to reach the nearest grocery store and the restaurant. The sea is 300 m away from the Apartments Pula 2. The nearest beach is 1,5..
Apartments Rovinj 6 are situated in a peaceful and quite part of Rovinj. There are 2 two comfortable studio apartments with balcony and a luxury family apartment with 3 balconies. Each apartment is air-conditioned, has free wireless internet, satellite TV and parking place near the property. The old..
Apartments Rovinj 60 are located on the quay of the Adriatic Sea, near the old town of Rovinj. The distance to the sea is about 100 m, the beautiful beach Punta Corrente can be reached in 5-7 minutes walking. 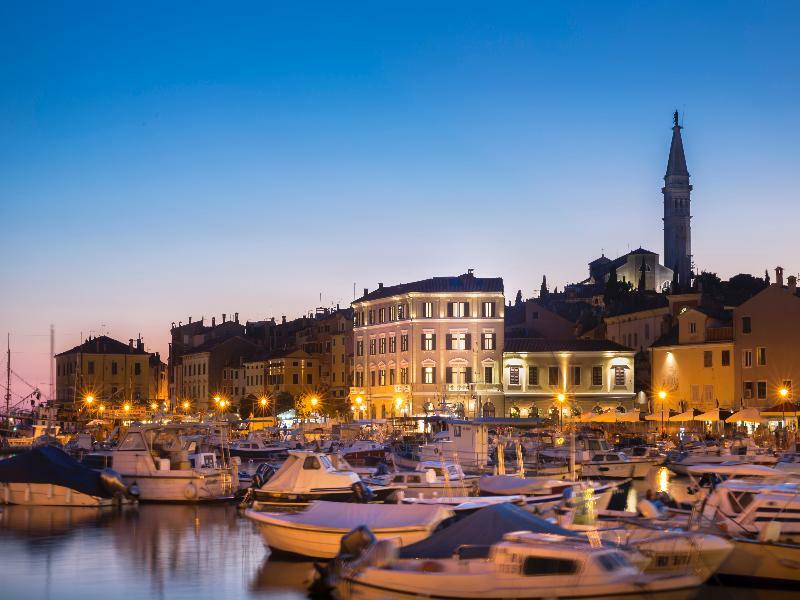 There are a lot of restaurants with fresh seafood and traditional Istrian..
Apartments Rovinj 60 are located on the quay of the Adriatic Sea, near the old town of Rovinj. The distance to the sea is about 10 m, the beautiful beach area Punta Corrente can be reached in 5-7 minutes walking. There are a lot of restaurants with fresh seafood and traditional..
Rovinj Apartments 63 Studio / Rooms are located in a good location of the city of Rovinj. City center is within a 10 minutes walk and the beach Cuvi can be reached in about 20 walking minutes. Restaurants and shops are very close. The studio unit has a terrace, fully equipped kitchen,..
Apartments Rovinj 7 are located on a quiet location near the center of Rovinj. Apartments are equipped with SAT/TV, while free parking and free Wi-Fi are also provided. Nearby there are restaurants, shops, bars and other facilities. The Old Town of Rovinj is a few minutes’..
Apartments Rovinj 7 are located in a quiet location near the center of Rovinj. Apartments are equipped with SAT/TV, while free parking and free Wi-Fi are also provided. Nearby there are restaurants, shops, bars and other facilities. The Old Town of Rovinj is a few minutes’.. Within only 700 metres from the nearest beach and 1 km from the centre of Rovinj, Apartments Rovinj 70 features 3 spacious apartments with private parking, satellite television, air condition and free wireless internet. The house with accommodations is set in quite and peaceful.. 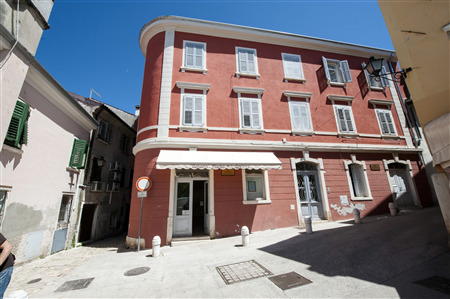 This Familyhouse with code 77 Rovinj is located close to the center. 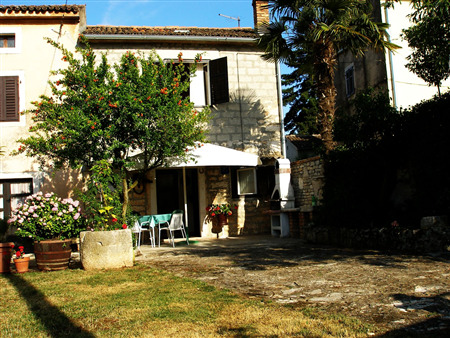 This is a family house in a good location, about 800 meters from the old town of Rovinj and 900 m distance to the sea. The studios are air conditioned, with satellite TV and free Wi-Fi signal. Yard located just outside the door allows.. This house with code 77 Rovinj is located close to the center. 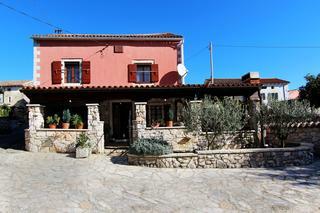 This is a family house in a good location, about 800 meters from the old town of Rovinj and 900 m distance to the sea. The studio is air conditioned, with satellite TV and free Wi-Fi signal. Yard located just outside the Door allows car.. The historical old town of Rovinj is situated only 5 minutes walking from the Apartment Rovinj 78, and the beautiful beaches Cuvi and Punta Corrente can be reached in 10-15 walking minutes. The distance to restaurant, grocery store, cosmetic salon and hairdresser is 200 m. We will help our guests arrange..
Deutsch English Apartments Vanda are located in the quiet district Lamanova in Rovinj, it takes you only 10 minutes on foot from the historic center of the city, and 15 minutes to the beach. In a quiet and safe area of the city of Rovinj, near the pine trees,..
Nice place for a nice holiday.Located in a quiet neighbourhood of colourful Rovinj called Lamanova with free Wi-Fi and parking next to various restaurants and shops, just a couple of steps away. Apartments Vanda are located in the quiet district Lamanova in Rovinj, it takes you only 10 minutes on foot from the historic center of the city, and 15 minutes to the beach. 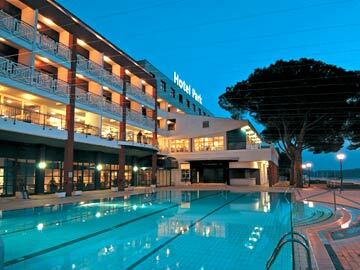 In a quiet and safe area of the city of Rovinj, near the pine trees, you will enjoy the homely atmosphere and relaxing.. Luxury Two Bedroom Apartment Rovinj is located in the centre of the town of Rovinj. It has a unique view of the sea, wireless internet, satellite tv, air condition and free private parking. Apartment featuring a fully equipped kitchen with a dining area, a bathroom with shower, two bedrooms, living.. The house with apartments and studio apartments is situated in a quiet part of Rovinj. Each apartment has air conditioning, free internet, terrace. The old town of Rovinj is only 1 km away, and the beach Kuvi can be reached on foot in 10-15 minutes. Pets are allowed on request. .. The house with apartments and studio apartments is situated in a quiet part of Rovinj. Each apartment has air conditioning, free internet, terrace. The old town of Rovinj is only 1 km away, and the beach Cuvi can be reached on foot in 10-15 minutes. The airport of Pula is 35 km away.. The house with apartments and studio apartments is situated in a quiet part of Rovinj. Each apartment has air conditioning, free internet, terrace. The old town of Rovinj is only 1 km away, and the beach Kuvi can be reached on foot in 10-15 minutes. Pets are allowed on request. One bedroom.. The house with apartments and studio apartments is situated in a quiet part of Rovinj. Each apartment has air conditioning, free internet, terrace. The old town of Rovinj is only 1 km away, and the beach Kuvi can be reached on foot in 10-15 minutes. Pets are allowed on request. One bedroom apartment..
Approx. 2 km from the center of Rovinj, Rovinj 80 Holiday Home offers 3000 square meters property and house with about 100 m2 internal place ready for your needs. That interior is composed of living room (, TV, air conditioning, following by 2 Bedrooms, each of them with private bathroom, kitchen and.. Older house in Rovinjsko selo, a former small village on the main road to Rovinj which becomes bigger in the last time but still having the hearth of the village. Distance from Rovinj app 8 km .Nearby Restaurants and local grocery shop. It's an ideal place for Your holiday..
Beautiful House 74 is located in quite part of Rovinj, only 300 m from the Adriatic Sea. The city centre is 2 km away from the accommodation. Grocery store and restaurant can be reached in 3 minutes walking. 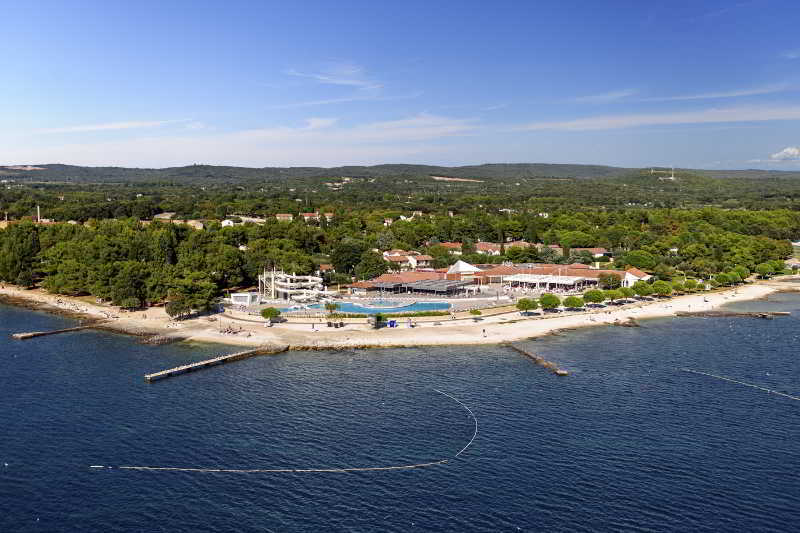 Rovinj is perfect for active holidays: tennis courts and diving club.. Location. 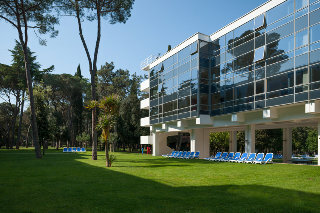 Hotel Katarina is located on the beach in Rovinj, close to Sveta Katarina, Rovinj Harbour, and Trg Marsala Tita. Other points of interest near this hotel include St. Euphemia's Church and Trg Valdibora. Hotel Features. This Rovinj property has a private beach. 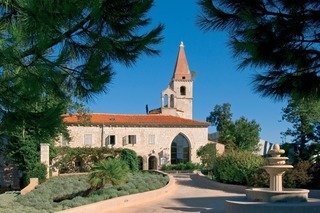 Dining options..
Hotel Park is situated in a stunning Istrian town that stands out by its beauty and historical heritage. It is located away from the hustle and bustle of the city, but still near the town centre, just off the beach as if nestled into the scents of the clime and vegetation. A view shoots out from the..
On the outskirts of the town of Rovinj, this beautiful and modern house is situated in a very quiet area. The owners shows good taste and much more are the stylish furniture and very comfortable house. Also beside the equipment, the Villa has every comfort needed during your..
All studios & apartments provide bed linen, towels and kitchen utensils/equipment. keys are collected at agency from 09:00 to 19:00 or 20:00 in high season the office hours are extended. if arrival time is outwith agency hours, the key will be left at the agency with a note and the apartment address.. Located a 10-minute walk from the nearest beach and offering free parking, Rooms Teklic features a furnished balcony and a private bathroom with shower. Guests can relax in the shared garden. The Old Town of Rovinj is 1 km away. A restaurant serving local cuisine is just 10 m from the property,..
Set within a 10-minute walk from the beach, Apartments Severina 1 have free Wi-Fi, satellite TV and a fully equipped kitchen. Free private parking is provided in the garden, which also features a patio and a barbecue. The house consists of three separate apartments and can accommodate 14 people. Owners..
Set within a 10-minute walk from the beach and the forest-park Zlatni Rt. All apartments are completely and luxuriously furnished with contemporary kitchens, seperate bedrooms, living areas, and new baths. Each has an sea view, airconditioning and parking space. 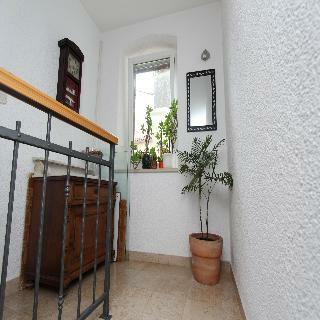 Owners of Apartments Mia can offer..
Apartmentshouse is situated in a quiet part of Rovinj. It features spacious apartments with private parking and free Wi-Fi. Only a 5-minute walk from the colorful Old Town is also offers a garden and bicycle rentals. All units feature a seating area with satellite TV, fully equipped kitchen, bathroom..
Apartments Nefat 5 are located only 300 m to the city center. Distance to the sea is about 800 m and to the nearest market is 100 m. . FIrst beach is reachable in app 2 km . Apartments are well equipped with satellite TV, air condition, heating. There is parking place on site. The old town of Rovinj..
Apartments Paoletti are situated in a peaceful and quite part of Rovinj. There are 2 two comfortable studio apartments with balcony and a luxury family apartment with 3 balconies. Each apartment is air-conditioned, has free wireless internet, satellite TV and parking place near the property.Luxury..
Apartments Banko are located on a quiet location near the center of Rovinj. Apartments are equipped with SAT/TV, while free parking and free Wi-Fi are also provided. Nearby there are restaurants, shops, bars and other facilities. The Old Town of Rovinj is a few minutes’ walking distance, while.. This beautiful modern house is located only 500 m from the city center and 700 m from the beach. It offers comfortable rooms and apartments with breakfast. All accommodation units are decorated with modern furniture and equipped with satellite Tv, wireless internet and private parking on site. Guests.. 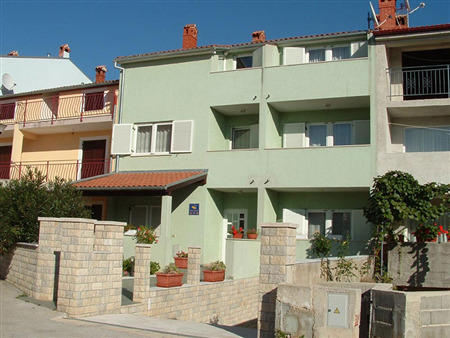 The Apartments Bucan 14 are situated in the peaceful district of Lamanova in Rovinj. The house has two separate apartments for a total of 7 persons. All units have air condition, wireless internet, full equipped kitchen with dining area, living room with seating area and spacious furnished balcony. The.. The Apartments Frankovic is set near the center of Rovinj.Located on ground floor of the family house presents a perfect location – only 700 m to the Old Town of Rovinj and 400 m to first beach. This spacious and comfortable apartment has one bedroom with double bed and another bedroom.. The Apartment Frankovic Patio is set near the center of Rovinj. Located on ground floor of the family house presents a perfect location – only 700 m to the Old Town of Rovinj and 400 m to first beach. This spacious and comfortable apartments have each 2 bedrooms, living rooms TV with satellite.. Guest House Marica is on the outskirts of Rovinj, 5 minutes walk from Cuvi Beach and Punta Corrente Botanical Park. Guests can take advantage of the property’s terrace, garden and outdoor barbecue facilities. Rooms and apartments all feature a balcony with a garden or sea view. They offer a seating..
Holiday home Daria is located 7 km from picturesque town of Rovinj. This beautiful air-conditioned house consists of two floors. On the first floor there are two bedrooms with king-sized beds and a bathroom with shower. On the ground floor there is a full-equipped kitchen with separate dining area and.. The Apartment is located in the old town of Rovinj. This part of the city has a lot of narrow, cobbled streets and fascinating building. It would take you a couple of minutes to visit the church of St Euphemia and to enjoy the picturesque view from this place. The distance to the sea is about 100 m,.. Newly built house, Apartments Lavanda features colourful and spacious apartments suitable for a self-catering vacation. It is located in a quiet part of Rovinj called Lamanova, only a 5-minute walk from the colourful Old Town. All apartments feature a seating area with satellite TV, a fully equipped.. The completely renovated Villa Biljecki is set in a quiet part of colourful Rovinj, only 300 metres from the sea and 800 metres from the Old Town and the main promenade. It features free Wi-Fi and free parking, while bike and car rentals are possible. Villa Biljecki offers fully equipped studios and.. Apartment Bella 2 in Rovinj offers unit with balcony and views on the garden The local beach can be reached on foot in 5 to 10 minutes. All units at Apartments Bella have a separate living room and sleeping quarters. A dinning room and kitchen are also featured. The property has a garden and terrace.. Located 700 metres from the beautiful Rovinj’s Old Town Apartments Viduman offers bright and spacious apartments, barbecue facilities and free parking for all guests. The beach can be reached within a 5-minute walk. Guests are welcome to use the garden equipped with tables and chairs, or enjoy.. Convenient one bedroom apartment positioned on the first floor. Offers newly fitted kitchen with necessary cooking facilities, electric stove, oven, refrigerator, microwave oven, toaster, coffee maker and a dining area. The kitchen is combined with the living room. Seating area consists of two sofas.. Luxury Two Bedroom Apartment Rovinj is located in the centre of the town of Rovinj. It has a unique view of the sea, wireless internet, satellite tv, air condition and free private parking. Apartment featuring a fully equipped kitchen with a dining area, a bathroom with shower, two bedrooms, living room.. Located 1.5 km from the center of Rovinj, Apartments Rovinj 31 offer well equipped spacious accommodations. All units are set with air condition, satellite television,wireless internet, full-equipped kitchen, and have terrace or patio, private parking is possible on site. This house has 4 separated apartments..
Apartments Matosevic are located in the peaceful district of Rovinj. All units in the Apartments Rovinj 36 have furnished balconies and equipped with satellite television,wifi and airondition. The rooms are bright and comfortably furnished. Parking is possible on site.This comfortable modern apartment..
Apartments Rovinj 36 are located in the peaceful district of Rovinj. The local beach can be reached on foot in 5 to 10 minutes. Restaurants and shops can be reached on foot in 2 minutes. Rovinj city centre is a 15-minute walk away. The main bus station can be found there. This comfortable modern apartment.. Within only 600 metres from the nearest beach and 800 metres from the centre of Rovinj, Apartment Suki 37 features private parking, satellite television and free wireless internet. The house accommodation is set in a quite and peaceful district of Rovinj. The apartment is newly built, modern furnished..
A nice recently renovated family house offering You three fantastic and large apartments units for your perfect holiday.This house is located on a quiet location near the center of Rovinj. The units are equipped with SAT/TV, aircondition and free Wi-Fi . Parking available directly in front of the house..
A nice family house with two large apartments for a perfect holiday. This house is situated in a quiet location not too far from Rovinj centre.All units are equipped with SAT / TV, aircondition and free wi-fi signal. Grilling facilyties in garden available. Parking directly in front of the house or nearby.Pets..
Wonderfull Istrian Villa 48, invites You with their 145 m² for a fantastic stay. It can accomodate up to 10 people offering a large beautiful garden with an open swimming pool at exclusive use only where you will relax while listening the quiet and calm. The complete property is over 1100 m².. This newly built villa is located near Zminj in the peaceful place near the oaken forest with marked bicycle paths. It is perfect place for walking and hiking. There is also a possibility to use the tennis court just 1, 5 km and horse riding 4 km from the house. You will enjoy nature, beautiful landscape..
House with apartments is located 7 km from picturesque town of Rovinj in area called Sarizol. Perfect place for those who are searching for peace and relaxation. You can enjoy the nature in a big green garden full of flowers and trees, it has a seating area, table and stoned fireplace for barbecue. The..
Apartments Sosici is located near the town of Rovinj, specifically in village Sošici only 12 kilometers from the town. The apartments are situated in a quiet village, which is surrounded by meadows, forests, hills suitable for recreation. For the most active ones, there are walking and cycling.. Located a 10-minute walk from the nearest beach and offering free parking, Rooms Teklic features a furnished balcony and a private bathroom with shower. Guests can relax in the shared garden. The Old Town of Rovinj is 1 km away. Airconditioned unit. Possible breakfast to be accorded on place. A restaurant.. Apartment Enzo 62 is located close to the Old town center as well app 10 walking minutes to beach Cuvi. It's a good location for Your car or walking moves. Located in a family house, about 900 m distance from the town center of Rovinj and about 500 m distance to the sea. Apartment is provided with..
Rovinj Apartments 63 Studio / Rooms are located in a good location of the city of Rovinj. City center is within a 10 minutes walk and the beach Cuvi can be reached in about 20 walking minutes. Restaurants and shops are very close. The studio unit has a terrace, fully equipped kitchen, bathroom with shower.. Comfortable studio Ina 67 is located on the third floor of a building with more apartments. It offers a newly furnished kitchen with all necessary cooking facilities, stove, oven, fridge and dining area. The bedroom offers a king-sized bed and furnished balcony, external private bathroom with.. This Family house with code 00077 Rovinj is located close to the center. This is a family house in a good location, about 800 meters from the old town of Rovinj and 900 m distance to the sea. The studios are air conditioned, with satellite TV and free Wi-Fi signal. Yard located just outside the door.. 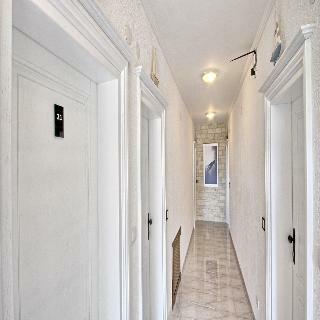 The Apartment with one bedroom is located in the old town of Rovinj. Next to and with a view on the sea , positioned in the pedestrian area in the heart of the old town. This part of the city has a lot of narrow, cobbled streets and fascinating building. It would take you a couple of minutes to visit.. The Villa 86 is located in the centre of Istria,village Modrusani next to Zminj, which makes it close to all the beautiful small towns and beaches of Istria. The shops, restaurants, bars, bank, gas station are all a few minutes drive away. The central location on the peninsula makes the house a good..
Old Istrian stone villa with private heated pool, spacious fanced garden ,one of the most beautiful villas in Istria! This unique villa offers accommodation for 6 people in three spacious rooms. A fanced garden of 2900 square meters, this gorgeous holiday house is composed of 3 bedrooms, each with a.. Completely renovated, this wonderful Istrian Holiday House is located in a small istrian village Matohanci next to Sosici and not so far away from Rovinj city, an ideal place for families with children. (no party groups acepted). The holiday House offers a fenced garden with a swimming pool (27 sqm) directly.. The house with Apartments Rovinj 106 is located in Rovinj, just a 5-minute walk from the Old Town. The nearest beach can be reached in 5 minutes. Restaurants and bars are about 50-100 m from the property.The colourful Rovinj’s Old Town features narrow streets, crowded houses and small squares,.. Distanced app 7 km from Rovinj and about 10 km from the sea , is the town of Rovinjsko Selo, your holiday destination . Small village , now already grown up into a Rovinjs small suburb , with his own quiet postioning, guarantee relaxation , away from traffic and summer noisy nights. Ideal place for your.. 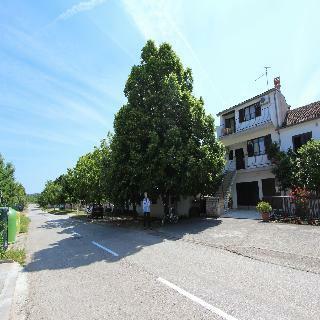 This property is located in central part of the Istria peninsula, county Kanfanar between Kanfanar and Rovinj , near to village of Sosici and more precisely hamlet called Bubani. The old architecture of surrounding villages is well preserved, and vineyards and olive trees dominate this area in this Mediterranean.. The Holiday Apartment Manola is located in the quite and peaceful district called Cocaletto. Just 4 km from the Old Town of Rovinj (5 minutes driving). It would take you 5-10 min to reach the beach, the nearest grocery store is 600 m away, the nearest restaurant is 100 m away from the property. The House..
At the entrance to the beautiful town of Rovinj, this air-conditioned studio apartment is located in a traditional Rovinj building on the second floor (Attic) with magnificent view of the sea. It has one double bedroom with a comfortable double bed and a fully equipped kitchen with dining area and a.. 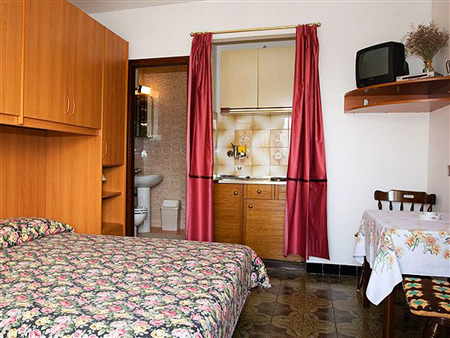 Comfortable Studio Erika is situated in the centre of Rovinj. Restaurants, cafe bars, shops are just a couple minutes walking. Distance to the sea is 100 m, to the nearest beach is about 200-300 m. Old part of the city has a lot of narrow, cobbled streets and fascinating building. It takes you 5 minutes.. Located in the tranquil part of Rovinj called Lamanova only 800 meters from the old town of Rovinj. Grocery stores and restaurants only 100 m away. Private parking, WI/FI, Fully equipped kitchen, spacious living room are just some features that characterize this accommodation. Ideal for group of.. The apartment Valsavie is located in Borik district (pine forest), which is a beautiful and calm area of the wonderful town of Rovinj. Apartment is about 2 km from the centre; the nearest grocery store is not far away from the houseT, and the beach is just 100 m distance from the accommodation. The beach..
Apartments Daria is located in Rovinj, just a 5-minute walk from the Old Town. The nearest beach can be reached in 5 minutes. Restaurants and bars are about 50-100 m from the property.The colourful Rovinj’s Old Town features narrow streets, crowded houses and small squares, while the main street..
Country house Correni is located near the town of Rovinj, in village Korenići only 23 kilometers from the town. The country house Correni is situated in a quiet village, which is surrounded by meadows, forests, hills suitable for recreation. For the most active ones, there are walking and cycling path.. Apartment Lorena is located in a quite district of Rovinj, just 1 km far from the center and 700 m away from the sea. Restaurant and grocery store in a walking distance. The apartment consists of two bedrooms with double beds, a living room with seating area, a kitchen with all necessary cooking facilities,.. Apartment Nino is located near the town of Rovinj, in village Sošici only 12 kilometers from the town. The apartment is situated in a quiet village, which is surrounded by meadows, forests, hills suitable for recreation. For the most active ones, there are walking and cycling path up to the Lim..
Apartments Rozela is located in a quite district , close to the city. Just 1 km from the picturesque town of Rovinj. Restaurants, bars and grocery store are in a walking distance. Family house consists of two apartments. All units are equipped with sat tv and wi-fi, and have a balcony or terrace. The.. This modern apartments are situated in a private house, which is surrounded by lush vegetation. Fully equipped with everything you need for a carefree holiday. 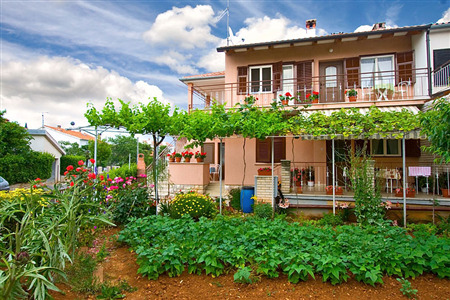 You can relax on the terrace overlooking the nice garden and enjoy your evenings chilled by a summer breeze sipping a glass of quality Istrian..
Family House "Apartments Matic" is located in a quite and peaceful district , just 800 m from the center. Bars, restaurants and grocery store in a walking distance. It would take you just 10-15 minutes to reach the pebbly beach and beautiful green park Punta Corente. The house offers three.. Apartment Brusić is located in Bale, in the center of the Old Town. The nearest beach is 6 km from the apartment. Restaurants and bars are about 50-100 m from the property.The Old Town features narrow streets, crowded houses and small squares, while the main street is lined with shops, galleries and.. Apartment Nada is located just 10 minutes walking from the city center and 600 m from the sea. Restaurant and grocery store is in the walking distance. Nice place for family with children. Comfortable apartment is air-conditioned and have a terrace with grill. Free wi-fi and sat tv are available. Pets..
Nice and quiet perifery location of the town Rovinj. Distanced from town only 4.5 km when taking direction from Rovinj to Pula. It takes you only a couple of driving minutes by car to reach this location. Positioned close to sea which can be reached in 10 minutes walking , near to local typical restaurant.. Apartment Cah is located just 5 minutes driving from the city center and 1500 m from the sea. Restaurant and grocery store is in the walking distance. Nice place for family with a child. Comfortable apartment is air-conditioned and have a terrace. Free wi-fi and sat tv is available. Pets are allowed,.. The three star Apartment Ljiljana is set near Rovinj. Located on ground floor of the house. Apartment has 2 bedrooms, living room TV with satellite channels, dining area. There is a kitchen with all necessary cooking facilities. Bathroom has shower ,a toilet, a washing machine and a hairdryer. It is..
A nice family house with two large apartments for a perfect holiday. This house is situated in a quiet location not too far from Rovinj center.All units are equipped with SAT / TV, air condition and free wi-fi signal. Grilling facilities in garden available. Parking directly in front of the house or.. Apartment Ruzic is located in the peaceful district of Rovinj. The local beach can be reached on foot in 15 to 20 minutes. Restaurants and shops can be reached on foot in 2 minutes. Rovinj city centre is a 15-minute walk away. The main bus station can be found there. The apartment has furnished balcony.. Apartment Zgrablic are located in the peaceful district of Rovinj. The local beach can be reached on foot in 15 to 20 minutes. Restaurants and shops can be reached on foot in 2 minutes. Rovinj city centre is a 15-minute walk away. The main bus station can be found there. The apartment has furnished balconies.. This beautiful house is located in the center of Rovinj. It offers comfortable apartment decorated with modern furniture and equipped with satellite Tv, and wireless internet. Nearby there are restaurants, shops, bars and other facilities. Pets are welcome. One Bedroom Apartment have bedroom with double.. The Apartment Tomy is a nice apartment situated in the center of Rovinj. 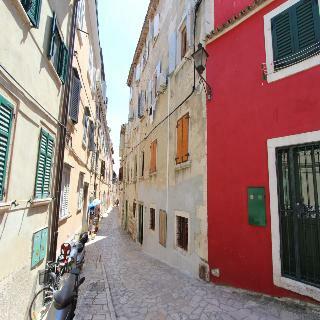 Located on ground floor of the house in the Old Town of Rovinj, offers 40m2. This spacious and comfortable apartment has one room with master bed and a sofa for one person to sleep on. Studio has a TV with satellite channels, dining..
Beautiful, all day sun-drenched villa with modern design is situated only 700 meters from the sea and 1.5 km from the center of Rovinj. The villa offers a pleasant stay in the beautiful landscaped garden with garden furniture, barbecue and swim in the pool which is accessible from the living room. The..
Wood, stone, style - combined with the creativity and craftsmanship of the owners - these are the key elements of this stunning holiday villa, set among endless olive groves in the wonderfully unspoiled and peaceful part of Istria. Villa Brozinca is a recently renovated beautiful Istrian villa with marvelous.. This modern Villa is based in the centre of one of most beautifull villages near Rovinj. With its modern interior and exterior design it stands out from all other villas in the area. It has three bedrooms with double beds which have exit to terrace and a pool. Eight people can enjoj sitting in garden.. The completely renovated Villa Biljecki is set in a quiet part of colourful Rovinj, only 300 metres from the sea and 800 metres from the Old Town and the main promenade. It features free Wi-Fi and free parking, while bike and car rentals are possible. Villa Biljecki offers fully.. Located on Rovinj's central square, this is a traditional hotel with plenty of charm of bygone times. It has a picturesque harbour-side location close to the old town. There is a rocky beach about 300 metres away and the shops, bars and restaurants of the resort can be found nearby. This 27-room hotel.. The Apartments Amarin are surrounded by lush flora and turquoise shores, is only a few minutes drive from Rovinj, perfect for true nature and summer fun lovers. Amidst these beautiful and natural surroundings, you will find the personal touch of our apartments. As a member of the Maistra d.d. hotel.. Upscale aparthotel on the beach, with 3 outdoor swimming pools Location Nestled on the beach, this Rovinj aparthotel is within 3 mi (5 km) of Church of St. Christopher, Rovinj Harbour, and Rovinj Aquarium. Church of St. Thomas and Franciscan Monastery are also within 3 mi (5 km). Property Features..
Amarin Studios and Apartments is located on a magnificent white edged pebble beach very near the charming village of Rovinj, Croatia and 40 km from the airport. It is the ideal spot for a vacation as there are a number of facilities to enjoy for both adults and children. Amongst these are restaurants,.. Your holiday home This air-conditioned apartment features: - 2 furnished balconies - a living area with an LCD satellite TV - a fully equipped kitchen with a dining area - a safety deposit box - a bathroom with shower or a bathtub Please note that the room rate is based on 2 guests. Maximum occupancy.. Your holiday home This air-conditioned studio features: - a furnished balcony - an LCD satellite TV - a fully equipped kitchenette with a dining area - a safety deposit box - a bathroom with shower or a bathtub Please note that the room rate is based on 2 guests. Maximum occupancy is 3 guests (see.. Your holiday home This air-conditioned studio offers sea views and features: - an LCD satellite TV - a fully equipped kitchenette with a dining area - a safety deposit box - a bathroom with shower or a bathtub A private furnished balcony is at guests' disposal on the lower floor. Please note that..
Modern house with a beautiful comfortable apartments and studio apartments, situated in a quiet part of Rovinj. It offers high quality fully furnished apartments. Each apartment has air conditioning, free internet, free mountain bikes available, satellite TV, private balcony and use of shared garden.. Situated in the peaceful quarter of Lamanova, this house offers Superior studios, Family and Delux apartments with private balconies with views. The Old Town of Rovinj is a few minutes’ walking distance, while the beach can be reached in a 15-minute walk. Guests can relax in the garden, where.. The Hotel is located at the edge of a unique and beautiful 100 years old nature park Zlatni rt (golden cape) - Punta Corrente. With its long tradition, this Hotel will meet the demands of every guest. 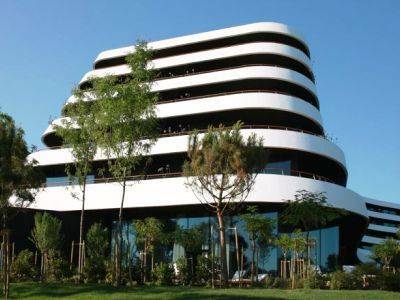 This 4 stars Hotel, which has become a symbol of Rovinj tourist offer is a combination of two extremes:.. Located on the very edge of the Zlatni Rt park forest, 250 m from the sea, and about 1 km from the town center. 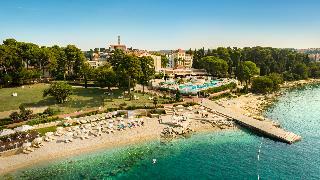 The hotel services include an outdoor pools for adults and children, pool bar, meeting rooms/conference hall, Wireless Internet access in all areas, reception, lobby, bar, restaurants, room..
Adriatic is a special story, not only for Rovinj but for a wider area and the region. Of a unique character and content it is a fusion between old and new, in a constant dialogue between its own tradition and history and contemporaneity, projected towards a dreamed future. At the same time concrete.. This is a 4 stars family hotel located at the island of St. Andrija (Andrew) known as the Red Island. It is the largest island in Rovinj archipelago and is linked with inlet Maškin with a small bridge. The beaches are either rocky or pebble, and the Mediterranean flora blends perfectly with.. Located in Saint Andrew's Island, 50m from the beach, 4.5 km from the St. Euphemia's Basilica and 4 km from Ravinj city center. Please note that you must take a boat to get to St. Andrew Island. Facilities and services include a 24 hrs reception, wireless internet in public areas (extra charge),.. The family house with apartments offers newly built and modern furnished apartments with air conditioning and free Wi-Fi. All accommodation units are decorated with modern furniture and each features satellite TV, a safe and a private bathroom with hairdryer. Apartments comprise a fully equipped kitchen..
Approx. 2 km from the center of Rovinj, Rovinj 80 Holiday Home offers 3000 square meters property and house with about 100 m2 internal place ready for your needs. That interior is composed of living room , TV, air conditioning, following by 2 Bedrooms, each of them with private bathroom, kitchen and.. 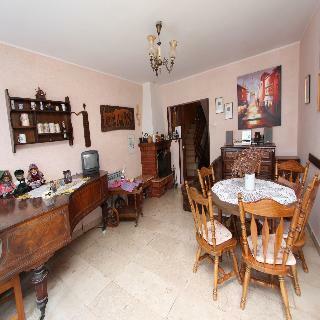 This beautiful and original-style house is located on a hilltop in a quiet area near Zminj. The central location on the peninsula makes the house a good starting point for excursions all over Istria. The house is surrounded by forests, meadows, vineyards and olive groves and offers good opportunities..
Villa Natka is a modern and design new Villa with construction works finished in 2013/14. Located just 8 km outside the pearl of the Adriatic, Rovinj and with the same distance to the magnificent Lim channel. 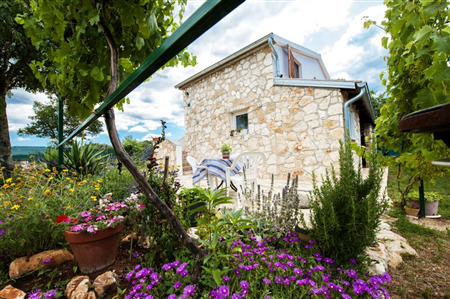 The Villa Consist of 4 bedroom, 6 bathroom, huge living room, fully equipped kitchen with dining..
Beautiful and original-styled recently renovated old istrian house located in Slivari ,a quiet village - area near Zminj. The central location makes the house a good starting point for excursions all over in the suroundings. The house is surrounded by forests, meadows, vineyards and olive groves and.. Beautifully designed Istrian Villa situated 20 km from the city of Rovinj. The Villa is newly renovated, it consists of 2 bedrooms, 2 bathrooms with shower, a fully equipped kitchen with all necessary cooking facilities, microwave, oven, fridge + freezer and dining area. The villa is equipped with all..
Apartments Villa Ernesta has 3 luxuriously appointed 4 star apartment in the ancient center of Rovinj. The Villa/house was built during Venetian rule in 17th century. It was completely refurbished/renovated in 2005. Apartments have one separate bedroom with large king size bed. Living rooms are furnished.. The Apartment is located in the old town of Rovinj. This part of the city has a lot of narrow, cobbled streets and fascinating building. It takes you a couple of minutes to visit the church of St Euphemia and to enjoy the picturesque view from this place. The distance to the sea (harbour) is about 100..
Istrian Villa Lavanda is located at the outskirts of a small town called Kanfanar near the Pearl of the Adriatic Rovinj, in a quiet and peaceful environment, in central Istria. Completly renewed and refurbished, this holiday house offers the greatestpossible comfort to guests looking for relax in peace..
Beautiful Studio in the city center is made in rustical style. It takes you a couple of minutes to visit the church of St Euphemia and to enjoy the picturesque view from this place. The distance to the sea (harbour) is about 300 m but to first stone beach Monte You'll need 5 walking minutes.The beautiful.. Surrounded by pine trees Studio Apartment Kos offers comfortable accommodation for three persons. 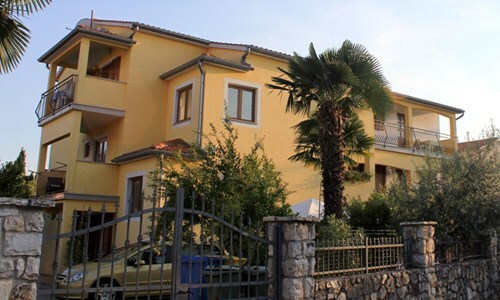 It is located in a quite and peaceful district, just 150 m from the beautiful Adriatic Sea. Nearest grocery store is 200 m away. There are cafés, gourmet restaurants, snacks, sports- and playing offers..
Villa Majoli is a beautiful holiday home completed in 2011, located just outside the picturesque and unspoiled village of Kanfanar. The stone-built villa has been constructed with great attention to detail in the original Istrian style. Villa Majoli is set within half an acre of private land surrounded.. The family house with apartments is located in the quite district. Surrounded by green garden, it offers comfortable accommodation with all modern facilities like wi-fi, sat tv and air condition. The nearest restaurant and grocery store just 100 m away from the property. The city center and beach is..
Apartments Dominik are located on the quay of the Adriatic Sea, in the centre of the old town of Rovinj. The distance to the sea is about 100 m, the beautiful beach Punta Corrente can be reached in 5-7 minutes walking. There are a lot of restaurants with fresh seafood and traditional Istrian cuisine..
A nice small building offering You fantastic apartment for your perfect holiday. This house is located on a quiet location near the center of Rovinj. The units are equipped with SAT/TV, aircondition and free Wi-Fi . Parking available directly in front of the house or nearby. In just a couple of minutess..
Villa Captain Morgan is a renovated cottage house with a private garden surrounded by stone walls, a covered terrace and a beautiful swimming pool. The villa was after the famous pirate Captain Morgan who hid in the town of Mrgani with his treasures. Villa Captain Morgan is located close to the ruins..
Property Location Located in Rovinj, Resort Amarin is by the sea and convenient to Church of St. Christopher and Chapel of the Lady of Health. This 4-star hotel is within close proximity of St. Euphemia's Church and Trg Valdibora.Rooms Make yourself at home in one of the 475 air-conditioned rooms featuring.. In the breathtakingly beautiful Rovinj, hidden away amongst a maze of narrow cobbled streets of 17th century Old Town, Villa Valdibora is opening its doors to welcome all the guests who appreciate touch of luxury, peace and comfort. In this pedestrian area of town, streets are lined with artists, galleries,..
Set within the Golden Cape Natural Park, Hotel Lone offers a terrace and a wellness area. The hotel is 200 metres away from the sea and a 15-minute stroll from Rovinj's centre. Built in 2011, all modern design rooms at Hotel Lone have free Wi-Fi and a private balcony. They are equipped..